Update: Colin has been found! The parents of missing 16-year-old Colin Schwartz are asking their Hamburg Township community to help look for their missing son on Saturday. Carolyn Bonifas, told WHMI that Colin may be hiding out in the Pinckney-Hamburg area, possibly in a vacant lake home. Colin is 5’11” tall and was last seen heading to the bus stop with his guitar case. 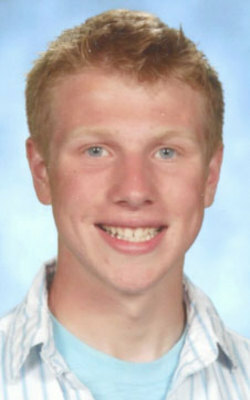 He was wearing a dark pea coat, button-downed white shirt and blue jeans, heading to Pinckney High School. If you have any information please call the Hamburg Township Police Dept at 810-231-9391. I hope hes found. Pinckney can't lose some one else. Colin was found safe today, Monday April 25, 2011.